I wrote about the Jesus and the College's fire, might as well finish off St. B ! There were six churches in total but only five were actually cathedrals so that is how I will number them. 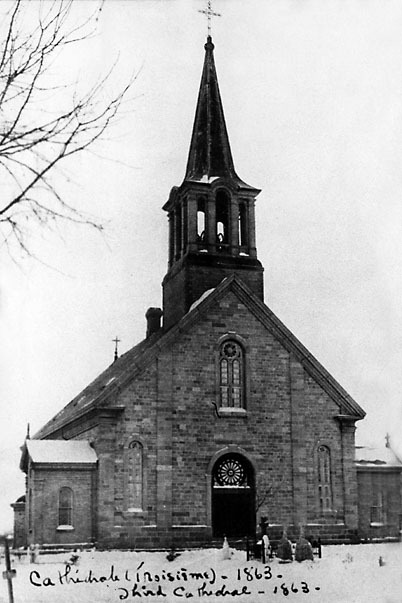 The first church to serve the community was a small wooden structure (1818 to 1822). The first cathedral was the second church. It was built in 1822 and served until a new, larger structure opened in 1832. Cathedral No. 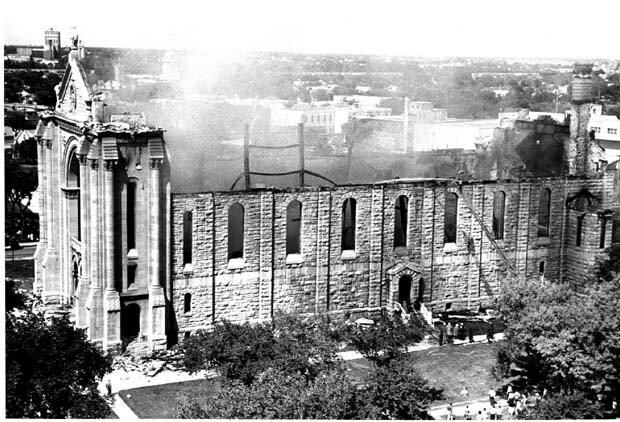 2: Constructed in 1832 it burned down on Dec 14, 1860. Cathedral No. 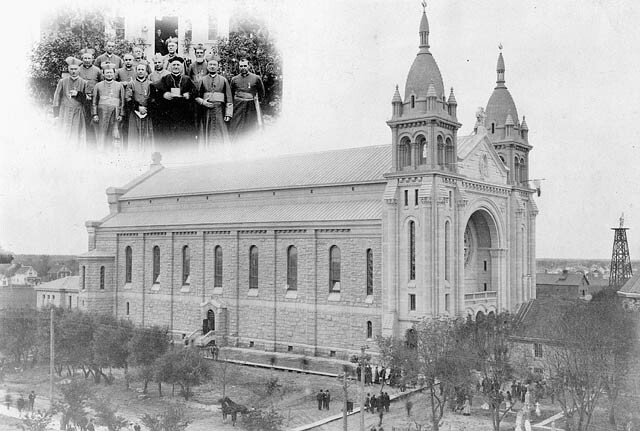 3: opened in 1862 and served the community past the turn of the century. 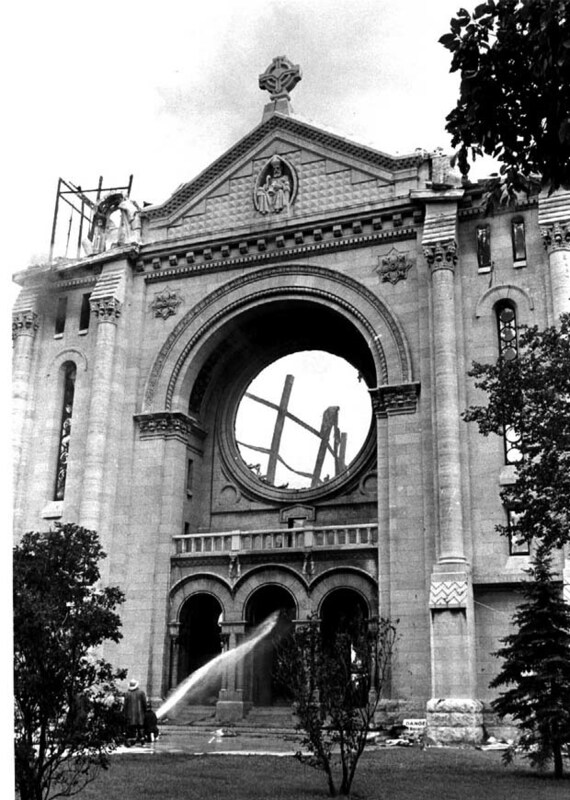 On July 22, 1968 workmen were repairing the roof near one of the domes. Their equipment was blamed for the demise of the building. Photographer Henry Kalen captured the iconic photograph of the blaze . 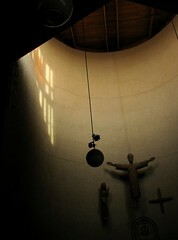 Images: Cathedral No. 4 destroyed. Winnipeg Tribune collection. 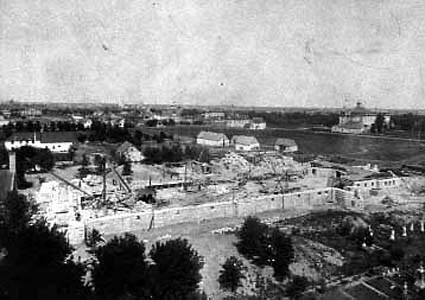 After an inspection of the ruins it was decided that portions of the walls, including the façade, could be saved with some structural help. 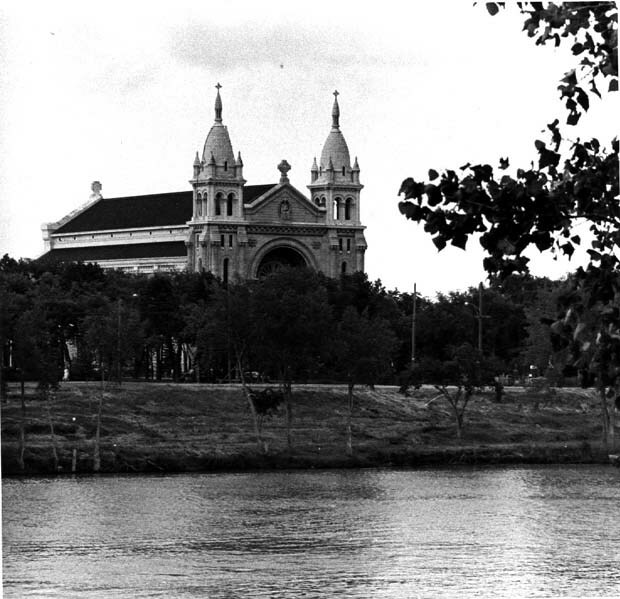 Keeping the façade was especially important as it holds the tombs of previous bishops of Saint-Boniface. 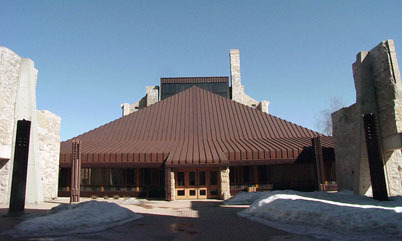 Cathedral No. 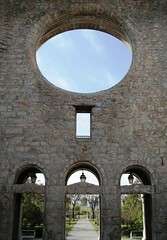 5: Architect Etienne Gaboury was charged with creating a new cathedral rising from inside the walls of the old. On July 3, 1971 the ceremonial sod turning took place and just one year later, on July 17, the dedication ceremony was held. 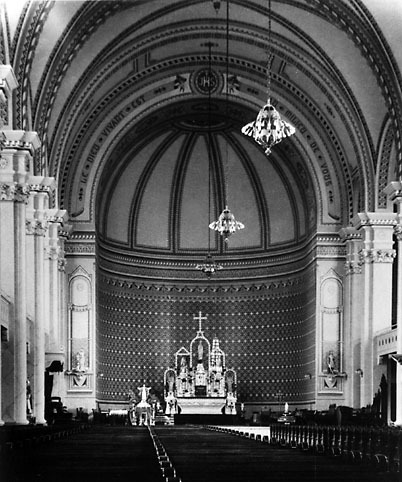 In 1994 the Cathedral was designated a provincial heritage site. Surely the date of the picture of the 4th cathedral prior to it burning down is wrong - it says March 1968 but all the trees are fully leaved (if that's a word). If this is an error, it's an error at the source.